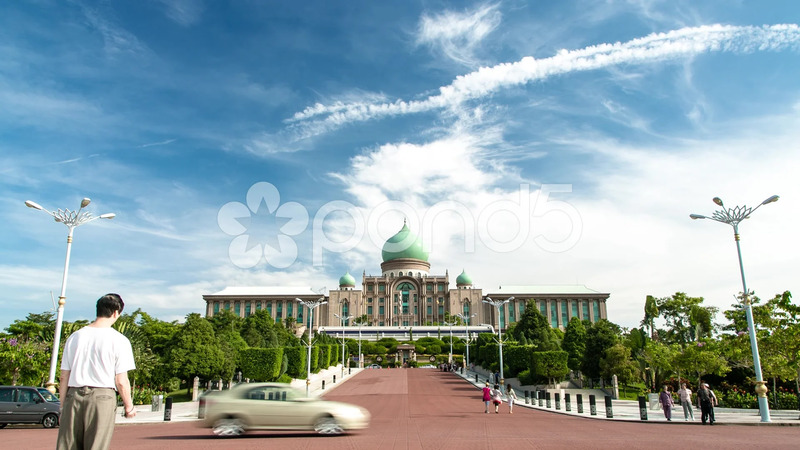 Description: A timelapse of Perdana Putra building in Putrajaya, Malaysia. It is a federal government complex that houses offices of Malaysia's Prime Minister and other ministers. Tourists can be spotted in the shot, together with moving clouds and clear blue sky.